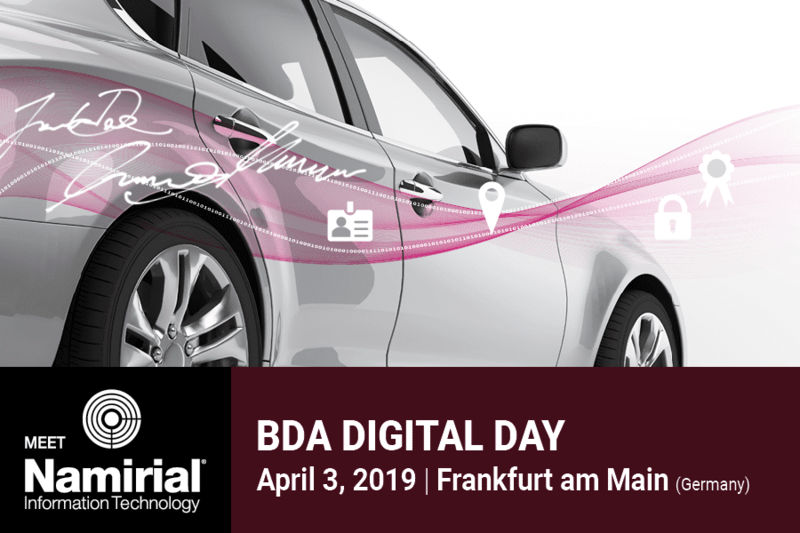 BDA Digital Day is the annual key event of the association of banks of the automotive industry (Banken der Automobilwirtschaft, BDA) in Germany. Their 2019 Digital Day is featuring “Financial Services going digital: online customer journey, digital banking processes and new business models”. Namirial will be sharing expertise from various multinational e-signature and digital transaction management deployments in the automotive financing business across Europe. Consumer finance organization representatives will be enabled in individual consultations how to successfully reduce sales acquisition cost, improve conversion rates and achieve higher customer satisfaction ratings without compromising compliance.